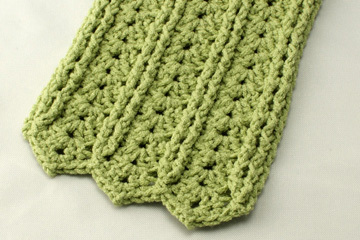 Have you tried any textured crochet stitches before? You know, like a front post double crochet (FPdc), back post double crochet (BPdc) and similar stitches? I love the texture that can be created using these textural stitches! I’ve been using them for years. I used FPdc and BPdc in my Pediwick Scarf and Swanky Cowl designs. Just a few months ago, I came across a new book that uses a lot of textural stitches in it. It’s called “Celtic Cable Crochet” by Bonnie Barker, published by Interweave. I met Bonnie at a CGOA Conference many years ago. She’s a very talented designer and a super sweet person, too! 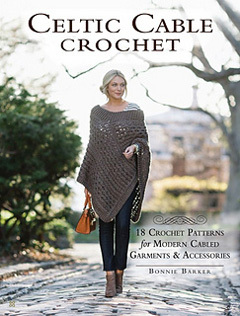 Bonnie came out with her first book using textured stitches called “Contemporary Celtic Crochet” that was published in 2014 by Fons & Porter Books. To read my book review of that book, check out this blog post. Both of these books are fabulous for crocheters who love texture in their crochet projects! These are the Cabled Boot Cuffs. 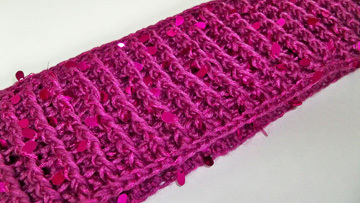 They are made with DK weight yarn and come in 2 sizes: x-small/small and medium/large. They look like a lot of fun to make and wear! I haven’t crocheted or knit any boot cuffs, so I think this one may be put on my list of projects for 2017! 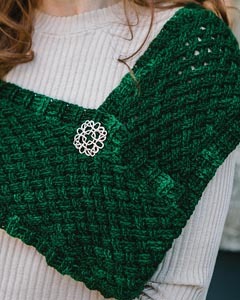 This is the Emerald Celtic Weave Infinity Scarf. This infinity scarf can be worn over your shoulders with a brooch or shawl pin. Or it can be doubled and worn as a cowl. I love cowls, don’t you? They’re so easy to wear and they never fall off like scarves! This is the Lavena Poncho that is shown on the front cover of the book. It is made with worsted weight yarn. It looks so stylish to me! If you’re a poncho person, this one looks scrumptious!!! This is the Satinées Wine Wristers. They are made with superfine weight yarn. I love the color of this yarn and the texture of these mitts/wristers! They’d be a great addition to any outfit to keep your wrists warm in the winter! And mitts/wristers are quick projects to make! This is the Tic-Tac-Toe Messenger Bag. It is made with worsted weight yarn. 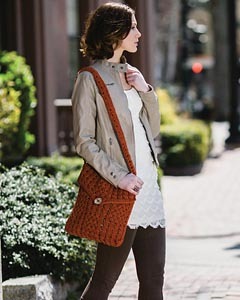 The bag and strap are lined with fabric, which helps them keep their shape. If you’re not afraid of sewing machines, this bag would be quite stylish to wear! This fabulous book has step-by-step instructions & photos for the textural stitches at the back of the book. 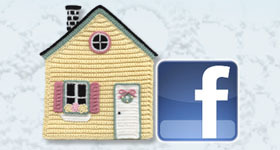 Also, Bonnie has a Youtube channel with lots of videos for her designs and many of her textural stitches here. So, if you’ve never crocheted any textural stitches before, you’ll be quickly learning how to work them and will soon come to love textural stitches, as I and many crocheters already have! I hope you’ve enjoyed this look at Celtic Cable Crochet. You can purchase this book on Amazon here or on the Interweave website here. To read about Bonnie and follow her designing career, check out her website here. This entry was posted in Book review, Crochet book, Crochet designers, crochet projects, Crochet technique and tagged book review, crochet book, crochet techniques. Bookmark the permalink.